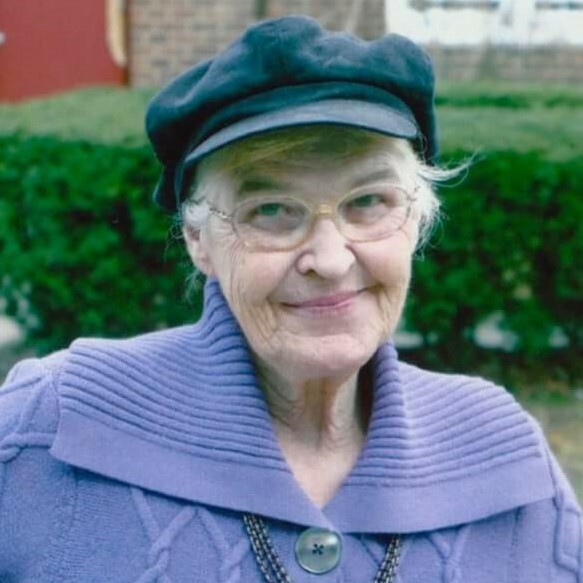 Angela Kavanagh Telfer, 84, of Rye, New York, found sweet release in the loving company of her youngest daughter on November 10, 2018. She was born in Binghamton, N.Y., the second of four daughters of Elsie (Waters) and James Patrick Kavanagh. Her maternal grandmother, Josephine Waters, was her North Star. A self-avowed tomboy, she grew up in Endicott. After graduating from Union Endicott High School, she went on to attend New York State College for Teachers in Albany, where she graced several homecoming courts. Following graduation, she taught English at Vestal Central High School. In 1956, she married Peter B.C. Telfer Jr. They moved to Grahamsville, N.Y. where she taught kindergarten before having a family. She devoted herself to raising her four children and managing several moves around New York and Florida. She served on the Board of Village Trustees in Mt. Kisco. She was employed by the Mt. Kisco Medical Group and later became a teacher?s aide at Chatsworth Avenue Elementary School, a job she loved. Following her divorce, she moved to Tucson, and served as co-owner and manager of Bienestar Bed and Breakfast with her sister, Peggy. Her welcoming and caring manner earned her affection and appreciation from grateful guests. After her return to Rye, she provided safety, comfort, and entertainment for children with special needs through her work with the County Coach Corporation. She was ?Grammie? to many children, in addition to her six grandchildren. Angela Telfer?s prime goal in life was to be of service. Her family said, ?She had an innate ability to find and cherish beauty, especially in others. She was avidly interested in politics and had a strong sense of justice. She delighted in the natural world and loved animals. She wrote poetry and songs that we enjoyed singing with her. ?For much of her life, Angela relished a deep fellowship and spiritual bond with dear ones. She embodied unconditional love and extended her generosity to all. We have been graced by her faith in goodness and her unwavering belief in us.? Mrs. Telfer is survived by her sisters, Peggy Muller of Tucson, Ariz. and Ellen Murphy of Bellingham, Wash.; her children, Julie of Victor, Montana, Peter (Jackie) of South Salem, N.Y., John of Orlando, Fla., and Kathleen of Greenwich, Conn.; her grandchildren, Erin and Dean Keskeny, Julia O?Hara (John), Jasmin and PJ Telfer, Haleigh Linkowski (Jordan), and thirteen nieces and nephews whom she deeply loved. She was predeceased by her sister, Kathleen Zizzi, and her niece, MaryEllen Sprague. Visitation will be held at Graham Funeral Home in Rye on Saturday, November 24 from 7-9 p.m., and Sunday, November 25 from 2-6 p.m. A celebration of life will be held at Rye Presbyterian Church on November 26 from 3-5 p.m.
Memorial donations may be made to the Southern Poverty Law Center, 400 Washington Avenue, Montgomery, AL 36104, or to the animal shelter of the donor?s choice.